The task of the Imperial Cult missions include bearing divine inspiration and consolation in the most remote areas of the Empire. Preaches the cult of worship of the gods of the eight-Aedra: Akatosh DiBella, Arkeyu, Zenithar, Mare Stendarr, Kynareth and Julianos. In addition, during the last religious reformation divine status acquired Talos, who is also the Emperor Tiber Septim. The priests of the cult of worship of these gods provide and shrines throughout Vvardenfell. The cult maintains close ties with the Imperial Legion, blades and the Fighters Guild. In addition, they have established friendly relations with the Mages Guild, Great Houses Hlaalu and Redoran. In order to join the Imperial Cult, you need to visit the imperial chapel in Ebonheart. Inside you will meet triNPC: Kaye, Sergeant altar Ilus Truptor - fundraisers and Sinnoliman Tunifus - healer. Just at them you'll take the job. Fairly simple quest, you need to find a farm Balura Salva and gather there for five servings of marsh reeds, at the same time you take this potion Boulouris improve strength. Give the potion, collect reeds and return to Ebonheart. Now Tunifusu required 5 servings of Musca. For this ingredient go to Gnisis. Arriving in the city, get a peasant Abishpulu Shand and talk to him about Musk. He will tell you where to find it. Musk is collected from large shapeless white "mushrooms", you can find them close to home Shand and near the port siltstrayderov. At the same time, take the chaplain Ogrulu from Fort Darius potion restoring health. When you have the required number of servings Musca - back in Ebonheart. The next task - to find the 5 flowers willow. If you talk a little longer with Sinnoilanom, you will know that the flowers can be found on willow plantations Gros Bagrat, near the plantation Drena. However, you can buy them from any alchemist. Now Tufinusu need to get 5 servings of jelly Scribe. It can be obtained in two ways - to buy or get alchemist himself. Get skribovoe jelly in the following way. Find Scribe, remove the gun and start hitting him with their fists (importantly, do not kill the poor little creatures). After Scribe kayo - remove it from the body portion of jelly. Note that you can not wring jelly out of every Scribe - a successful "extortion" is determined randomly. Find and bring Tunifusu 5 roots corkscrews. You can find it on the coast Askadianskih islands, for example. When you find the desired number, return to Ebonheart. Now you must find 5 pieces of rat meat. It's quite simple. Go to Vivek, you go down the drain and kill 5 rats. So much for the meat. After that, go back to Ebonheart. Last Quest - NETZSCH bring a piece of leather. For these purposes will fit any NETZSCH. Find him, kill him and bring Tufinusu skin. The house Drareyn Telas in eastern Balmora plague of rats, you have to get rid of them. Talk to the lady of the house, and she will give you the key to the shed. Kill all the rats out there, and then check the house, it can also be rodents. When all the rats will be killed - again talk to Drareyn, and return to Aydis. You have to kill two poachers: Sevilo Otan and Dane Valas. Work in the mine they were bored, and they decided that it is possible to earn a living by stealing eggs kvaama. You can find them in the egg stirrer shaft. Head south from Balmora, on the right bank of the river until until you see the old suspension bridge over the river Ōdai, ​​Mie. The mine is located in the west of it. When both are dead poacher - back to Aydis. As a reward you will get 100 gold and a few potions. In Guild Warriors turned the administration of mines Caldera. 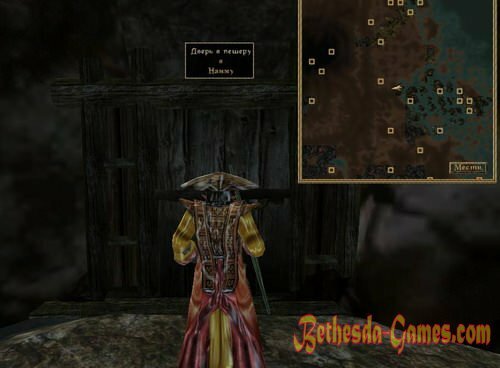 According to them Telvanni agents sabotaging the work of the mines, ebony steal, kidnap guards and servants. You have to deal with them. All four agents: Alina Aral Satas Nerotren, Fotin Herotran and Alveleg. There is evidence that they are hiding in a cave in the hills north of Caldera Schacht. Kill them and go back to Aydis. Now you need to bring a special red shirt with a black doublet. Buy it possible to tailor Falanamo in Caldera. 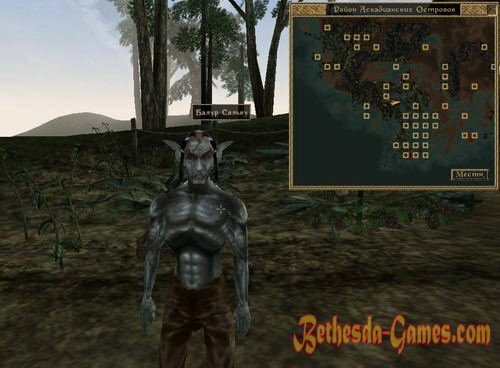 When pull out a shirt, go back to Ebonheart. The bars Balmora you need to get 5 bottles of brandy Cyrodilic. Go around the "Happy slammer", "South Wall", "Club of the Council." When you have the required amount of brandy - back in Ebonheart. Now you should go to the Hall of the Government of the Caldera and remind Kuniusu Peleliusu that he has 500 Gold fund for widows and orphans. However, when you talk to him, the imperial official told you that he had no money and he does not want to talk about it. But, do not despair. Nearby wanders orc named Olumba Gros Boglar, walk up to him and talk to him about Kuniuse. He will tell you that all Kunius owes to the caldera and to pay off debts, is engaged in theft of ebony mines. With this information, go to the mines Caldera. Once inside the mine, talk about Kuniuse slaves, and they will confirm that he really steals ebony at night, and added that he has a secret ledger in which all reflected. Then come back to the caldera and climb the stairs in the hall of the Government in the private quarters Peleliusa. Go into the room and break open the locked chest that is secret and book keeping. With the book in hand, return to Kuniusu and start to blackmail him. He money you still will not, but share ebonite selling that you can get the required amount. Then come back to Ebonheart. This is your last quest from Ilus. Now you must shake off 1000 gold to the chief of East Empire Company Tsanktuniana Poniusa the organization of the mission at the Imperial Cult Ashlander. 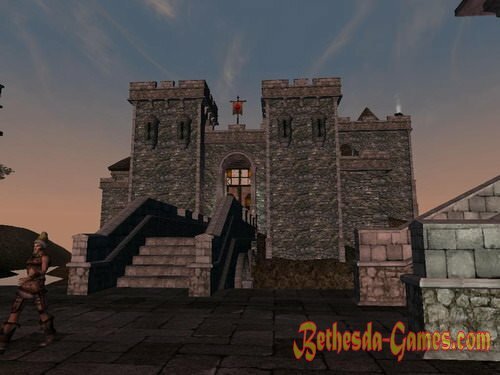 Office is located in the central square Ebonheart. However, when you talk about the donation Ponius say that recently clerk Mossanon fled with all the cash register, and ask you to find the thief. So start questioning witnesses. Orkessa Shazgob-gras nibble say that Mossanona often seen in the Mages Guild, in the quarter Strangers in Vivec, and Argonian Okan-neck adds that there is a girl who escaped the clerk of the house Telvanni, but he hides it. After receiving this information, go to Vivek and ask the conductor in the Mages Guild. Flakassiya Fauzeyus, conductor Mages Guild Vivek reported that indeed recently teleported some Altmeri in Sadr Mora. So you have no choice but to follow after him. Caught in the Mages Guild Wolverine Hall, ask the local guide, Iniel. She will tell you that Mossanon lives with a certain Volmini fighting. Their house is located near to the left as the exit gate Wolverine Hall. So, go out there and listened to sentimental love story Maussane. Promise him that does not tell us about his current place of residence, and it will give you 2500 coins. Since this amount is returned to the office of East Empire Company and return the money. To celebrate Ponius otsyplet you wanted 1000 Drake. Upon receiving them, return to Ilus. Altmeri Kariarel kidnapped Alabaster Bowl, you should return it. Go to the pier and talk to the Altmer, hanging out there. Maybe someone of them knows where to look for the thief. Valuable source of information may be a high elf named Faynertil. He will tell you that Kariarel lives in Gnaar MoCA, his house is located near the marina. Go there. However, in a conversation with you Kariarel flatly refuses to give the bowl and leave in the dead nesoznanku. Do not despair, break the lock on the locked chest and to extract therefrom the coveted cup. With this serving items back to Kaye. Now it's time to play "Ghost Hunter". Go to the Caldera and help Bosmer Nedelasu, whose impudent ghost drove from his home. Nedelasa you will find strolling in the streets of the town. Talk to him and take his house key. Ghost in the cellar you will find, where will be taken through the hatch. Kill him and gladden the home owner. Then you can go back to Ebonheart. In the mine Asha-Ahhe appeared witch Telza fought, frightening the miners, you must kill her. Everything is very simple. Came, killed, came back. You must return the ancient artifact - Silver Staff of Shame. Kaye says that the oracle had a vision that the staff can be found on the mountain of Kandy. Take in Caye ring detection spell and go. When you get there, use the ring, then any enchanted items, appeared in the spell will be reflected on the map blue dot. When the staff will have you back in Ebonheart. Do not forget to take personal belongings and the staff of the former owner, Kaye was able to give him a belated funeral. Last quest. You should go to Hla Oad and find argonianku Okur, which will bring you up to date. After arrival at the Okura will tell you that she is constantly spirit of a woman named Dzhulliel Aumin. She says that she was killed four smuggler Dudley Larisus Dergius, Ralos Otrenim and interviews Drelas and stole the amulet, which must be returned to her husband. Spirit can not rest until the amulet will not return to the rightful owner, and the murderers will be punished. Rascals who committed this crime are in the cave Yasamsi. Kill all four and the body of one of them (Ralosa Otrenima) remove the amulet. After that, go back to Hla Oad to Okur, and give her the amulet. You can return to Ebonheart to Kaye. Oracle Imperial Cult name Lalatiya Varian. Unlike previous quests, her job has some variety, and after each of them, you get a rare artifact. You need to find the artifact, which is called the Ring of the Wind. After hearing very vague message oracle, go to Llaalamu Dredilu, building the Imperial Commission that he explained to you the meaning of the message of the oracle. I recommend doing this every time. You'll find it next to Duke Dren Vedas. Promising to think he will ask you to take a letter to the Eastern Imperial Commission and give it Dzhey'Zhirru. After receiving the letter, Dzhey'Zhirr say that, judging by the words of the oracle, your path lies in a cave Nammu, near Tel Arun. In the cave you have to kill a lot of people, with one of them, you Galdisa Drena and remove the desired ring. In addition, in the same cave you will meet Redguard named Jon Hawker, give him one of the Scrolls Divine Intervention to the poor fellow could go home. Then come back to Ebonheart. As a reward you get a ring Akatosh. At this time, you should bring some boots that he wore Talos, that is, none other than the famous Tiber Septim. After listening to another prophecy of the oracle go to Llaalamu Dredilu. He says that, apparently, your path lies the fortress Berandas under which laid the huge dungeon. Go there and find a skeleton in Dwemer shoes, and they need you. In addition, if you climb to the ceiling of the cave, you will find there Breton named Ama Nin, let it scroll divine intervention so that she could get out of here. Then come back to Ebonheart. Certain academic person Adusamsi Assurnarayran went in search of the blade in the ancient fortress Roteran that is located in Shigorade. However, despite the fact that she left the house for a long time, still no news from her. You must go there to find a missing woman and the blade. Target is very complex. Blade will find one very zlogoNPC, it will be the same ring, which will have to pay Adusamsi. When all the tasks, return to Ebonheart. You need to avenge the two murderers, sorcerers and Karekalmo Merriaranu and return the stolen scroll Rampaging Fire. Go to the Daedric Ashalmimikala sanctuary, south of Gnaar Mok. Kill both wizards and take away from the table Scroll Rampaging Fire. You should go to the hidden ruins of Daedra and find the legendary Crusher skull. In order to determine the exact location of this place, you should talk to someone from the scouts and scientists Dunmer. You can find them in Vivec. A name can learn from Llaalama dreadlocks. However, you can immediately go in Sadr Moru and look for generic tomb Omarenov, it down into the underground passage that will take you to the desired Daedric ruins. Incidentally, the surface can not get into them. Once in the cave, look for the door to the Forge Halbongarda. Hammer is located in the chest, hanging from the ceiling. Once it is you - come back in Ebonheart. This is the last quest of the Imperial Cult.